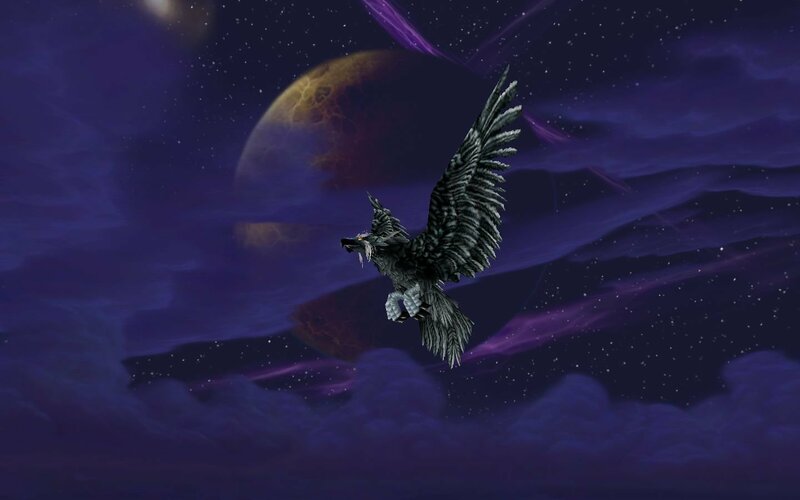 It's amazing how happy something as simple and silly as being able to turn into a bird in a video game can make me. I suppose it helps that they have a least one artist that knows how to make stunning skys. EDIT: Skydiving, which no other class can do, is fun. That's nifty, and quite pretty. Oh man! Yes! As soon as I got my flying mount, the thing that seriously made me flop back in awe was the beauty of the skies... Who knew? !